Take on Endless Electronic Projects with the Tiniest Linux Computer Yet! Mini computer boards are getting more popular by the day--but none have been quite as tiny or quite as affordable as VoCore. 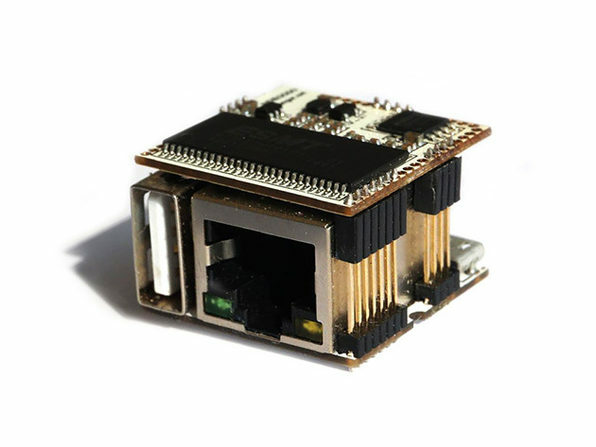 With this mini Linux machine, you can make a tiny router, invent a new device, build a motherboard, or even repurpose old speakers into smart wireless versions. Its small size gives you options: use it as a standalone device running OpenWrt or use it as an embedded component of a larger system. With some knowledge of electronics and the included Dock that extends the Ethernet and USB ports, the electronic world is your oyster.